Ada pertanyaan untuk Palmyrah Residencies? Terletak strategis di area berbelanja, melihat-lihat, restoran di Colombo, Palmyrah Residencies menyediakan tempat yang kondusif untuk melepas penat dari kesibukan Anda. Properti ini terletak 1 km dari pusat kota dan menyediakan akses mudah ke fasilitas-fasilitas penting kota ini. Properti ini terletak di sekitar obyek wisata populer di kota ini, contohnya Swarnamahal Jewelers, Ranworth Jewellers, Kedutaan Besar Jerman. Fasilitas dan pelayanan yang diberikan oleh Palmyrah Residencies menjamin pengalaman menginap yang menyenangkan bagi para tamu. Untuk kenyamanan para tamu, properti ini menawarkan WiFi gratis di semua kamar, satpam 24 jam, layanan kebersihan harian, layanan pengiriman bahan makanan, binatu (laundromat). Akomodasi properti telah dipilih secara cermat demi kenyamanan maksimum dengan adanya televisi layar datar, rak pakaian, linen, cermin, pintu masuk pribadi di beberapa kamar. Lapangan golf (sekitar 3 km) yang di properti ini merupakan tempat-tempat ideal untuk bersantai setelah beraktivitas sepanjang hari. Ketika Anda mencari penginapan yang nyaman di Colombo, jadikanlah Palmyrah Residencies rumah Anda ketika berlibur. I was ledt by my own without a proper assistance. The room was ok but generally all looks old. Spent two days here. Overall 5 star experience. Convenient location, easy access to all public transport. beach just next door. Nice view from roof top. Staff very friendly and accommodating. Perfectly clean. Room very spacious (you will not find such big room for this money). Wi-Fi can be improved which was not at full speed. Will recommend to anyone without any hesitation. One of the best things about the hotel is its location, bordering the marine drive on one side and Galle road on the other. Another wonderful aspect of the place is its lovely view from the rooftop balcony. Arjuna, the guy who manages the place is extremely helpful and made my stay a really comfortable one. I would love to stay again at this place. A huge thanks again to Arjuna!! Palmyrah Residencies is the best hotel I have stayed in whilst visiting Sri-Lanka. The apartments are large, clean and well equipped. The staff and management are wonderful. They went above and beyond the call of duty in attending to my every need. Furthermore, the location is excellent - plenty of eating and shopping places. I highly recommend this hotel! I really enjoyed the stay at palmyrah and its feels like i am in the home with all facilities with our budget cost as well. Hotel Owner helped me a lot for early check in also and given all the necessary amenities while check in. We got peace and relax stay there. I will soon come again to stay there and personally recommends it. The hotel looks like to convert from the office. The aircon is like spot aircon and it doesn't work so efficiently. The wifi connection is not consistent, which doesn't serve for business travelers. The view from the balcony is o.k..
Large Apartment in a central area of shopping. We were very excited that we got a huge Apartment with fully kitchenette set up that we can cook by ourself. We were very enjoy staying there and for sure we will return back. The stay was comfortable. The hotel has a fully equipped kitchen area. 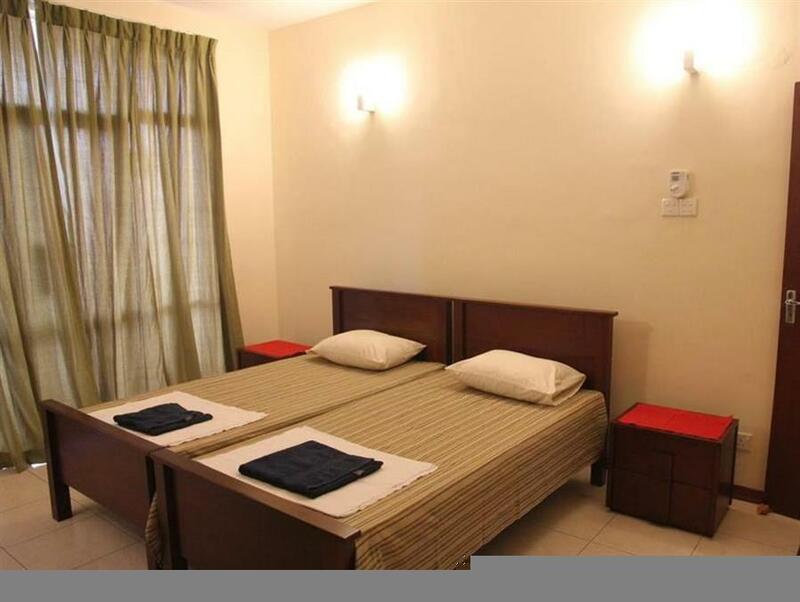 Hotel is located in an ideal location close to shopping malls, restaurants and hospitals. The hotel is clean and the staff can speak english. However the wifi signal does not reach the bedrooms but there is no difficulty using the internet in the living room area. I have already recommended this hotel to my friends and family. The stay was good. No problems. Location of the apartment was good as it was central and near eating areas. Also nice view of the sea. there was no TV, beds were very poor standard poor quality linen, cooker was not working airconditioner was on its last leg , i had to leave the place after spending a restless night and checked into another hotel Grand Pearl hotel,was a waste of money you should look into this place before you recommend it. Owner & Staff are all friendly & helpful. The rooms so large & comfortable. Fair price. Great Location. Sea view. Near railway station. 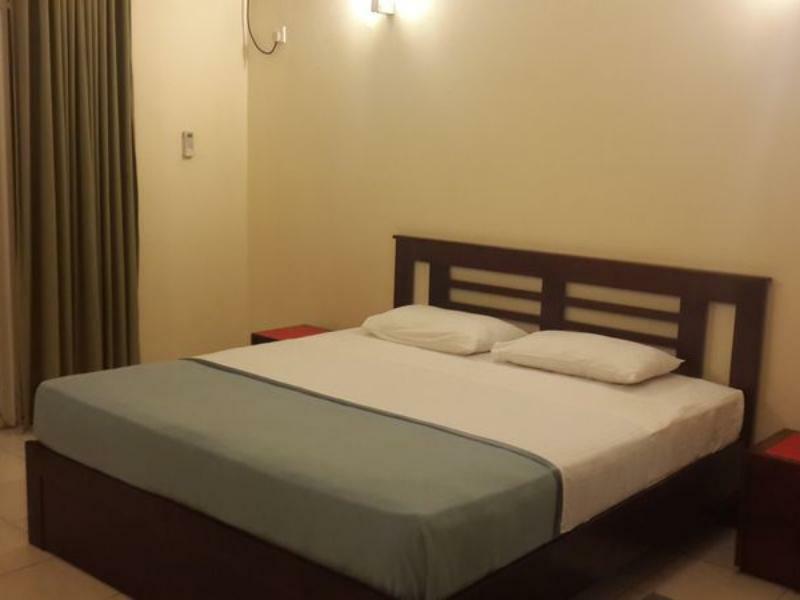 Staying in Colombo is never a cheap option, even a 3-stars hotel could easily cost you a bomb (and put aside the cleanliness you're looking for)! As we have 5 of us, staying in apartment may be our alternative selection. With only half of the price we paid, we managed to get 3 bedrooms apartment - 2 with air-cons and 1 with fans, 2 toilets, 1 kitchen and 1 living room. Plus point about this place is the family of the owner are also staying in the apartment as well - so no issues on the cleanliness and security. Free WIFI is also available for those eagerly contact with the world outside. Main attractions of this apartment would be its location. We got ourselves a sea-view room (check out the sunset with train passing by), walking distances to restaurants (i.e. 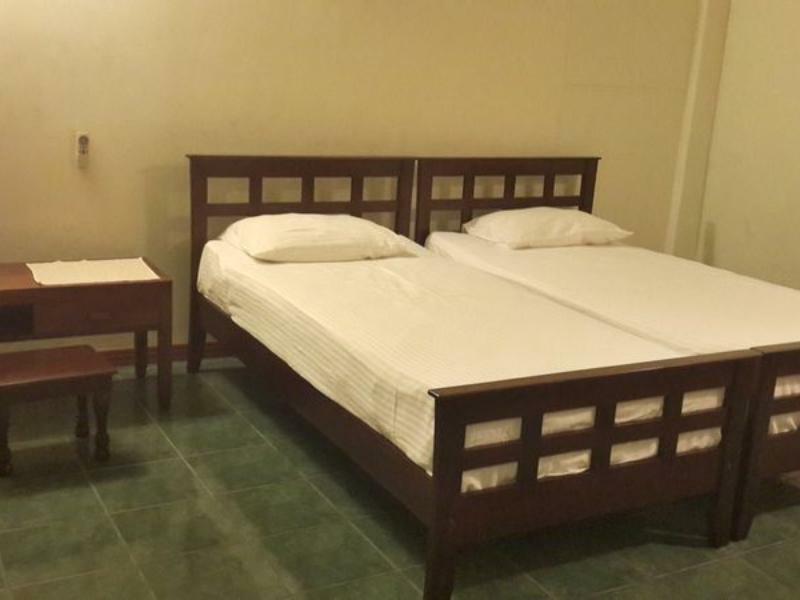 Green Cabin, Gallery Cafe, McD, etc) and easy access to railway station (Bambalapitiya st). A homely place to start your journey in Sri Lanka! We stayed for 5 days, 4 nights at the place. Very convenient location as there were "trishaws/ tuk-tuk" everywhere. Very cheap option to get to other places in Colombo but make sure the one you took is metered! We can see the beautiful Indian Ocean view from the balcony unfortunately, there was the noise from the nearby railway track along the sea. The owner was rather nice in greeting us during our arrival but never turn up to ask whether we need any help after that till we went home. One of the rooms was not air-conditioned and the cooler was not fixed. 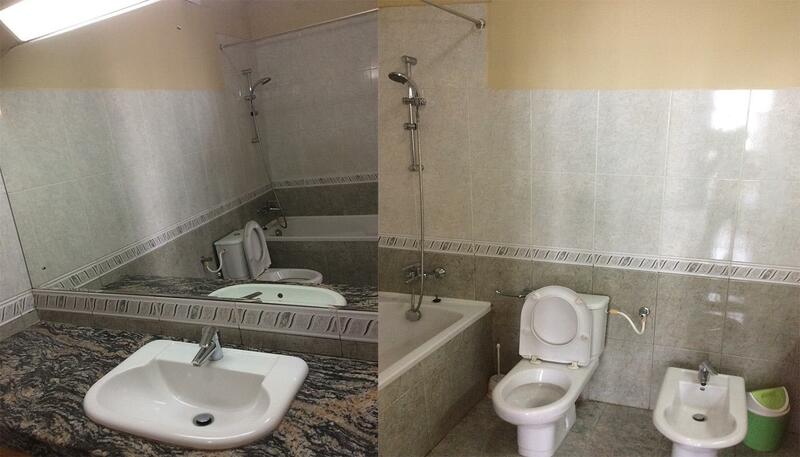 There were no basic amenities such as bathing soap and shampoo which should be highlighted in the hotel reviews so that customers will be prepared. The hot shower was not working after day 3 and I havd to bathe my 11 months old baby with cold shower! To make things worse, the master bathroom floor was flooded with water due to the clog in the drainage system. There was no television available so we didn't even get to know abot the riots that was happening nearby.